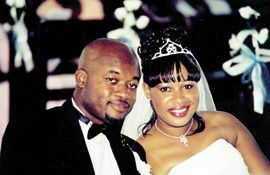 Anniversary greeting to Mrs. and Mr. Yinka and Anthony Dennie of Glen who celebrated 4 years of togetherness with 2 years of marriage on the 4th December. Who God join together let no man put asunder. Remember you have dreamt it and it came through for both of you. Trust only God and he will do the rest for you. Greetings from moms especially Patricia, children Anecia, Andros and Destiny.